Welcome to Petsofoz.net Online Pet Shop. Although Petsofoz.net has only been online since 2016, we have experience in the pet industry for many years. If you have any questions or need any information feel free to contact us at Info@petsofoz.net. How long will it take for my order to be shipped once I have placed an order? Orders will be dispatched from our warehouse within 1 to 5 business days. Most orders will ship on the same day as they are ordered. Please be aware that this is not the total shipping time. Australia: Up to 7 business days. United States: Up to 15 business days. United Kingdom: Up to 20 business days. Orders can take longer than these times to arrive during public holidays such as Easter, Christmas and New Years. Other circumstances such as natural disasters, strikes etc can also delay orders. How is my order being shipped and delivered? Orders are shipped by airmail from Auspost but may be delivered by a separate company. Yes, we do ship to PO BOX Addresses. What do I do if my package is damaged? In the unfortunate event that your package arrives damaged, the first thing to do is contact us at Info@petsofoz.net. Once we have the specifics of your order and the damage, we can start the claims paperwork with USPS. You can cancel your order at anytime up until the order is marked as shipped. You will need to email us at info@petsofoz.net to cancel orders. What is your policy of returns and refunds? If for any reason you wish to return any item or items purchased at Petsofoz.net Online Pet Shop please email us at Info@petsofoz.net with your order number, name, date of purchase and reason for the return. Authorized returns will be issued with an Return (RA) number which should be clearly quoted when you return the goods to us. Unfortunately you cannot at this time. The only way to place an order is via the checkout on our website. 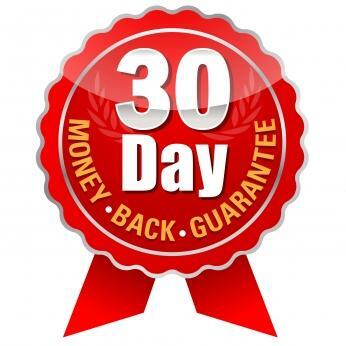 We offer a 30 Day Money Back Guarantee on all Purchases made at Petsofoz.net Online Pet Shop. All returns must be in new, unused condition in the original packaging within 30 days of original purchase. Goods returned without prior authorization will not be accepted. We will refund return freight costs only if we are at fault. We cannot accept items returned after 30 days of original purchase or that are not in original condition, and or have missing packaging and or parts. To cancel a order before it is shipped email us at info@petsofoz.net. You can use most major credit cards including Visa and MasterCard.